Star Citizen creator Chris Roberts has revealed that Alpha 3.0 of the game will be arriving this June, letting players sample Star Citizen’s eagerly awaited “planetary tech”. This is a major milestone for the crowdfunded game, as it will allow players to travel to planets or moons they see in the distance and explore every bit of these detailed worlds. Something like what last year’s No Man’s Sky promised but failed to deliver, then, but it looks like Roberts and his team might be able to pull this off and deliver the kind of immersive experience the Star Citizen community is craving for. And it’s clear that Roberts has lofty goals for Star Citizen, explaining that the game’s planetary tech “goes way beyond the initial promises and conception of Star Citizen; we will be simulating a First person Universe with almost no limits. It’s a great illustration of how with the support of a Community as great as Star Citizen’s anything is possible”. Although the game’s update coming in late June won’t offer an entire universe, though, but just three highly-detailed moons to land on (which are named Cellin, Yella and Dayman in the game). Star Citizen began as a crowdfunded project in 2012 and doesn’t have a release date yet, but it’s clearly an ambitious game that aims to offer a huge universe for players to explore, engaging in trading, space combat and first-person shooting, and also interacting with other players. Of course, Roberts himself is aware of what a big and ambitious project Star Citizen is, stating that “No one has ever attempted to build a game as ambitious as Star Citizen and I doubt any publisher would have the patience or stamina that it requires to build something that breaks molds the way Star Citizen does”, adding that “myself and the team and eternally thankful to be able to build Star Citizen the right way, being able to take the time to engineer things for the long term, a way that will allow the universe to flourish for years to come. Together we are making history”. The game also has a single player campaign titled Squadron 42 which features motion capture work by performers like Gillian Anderson. 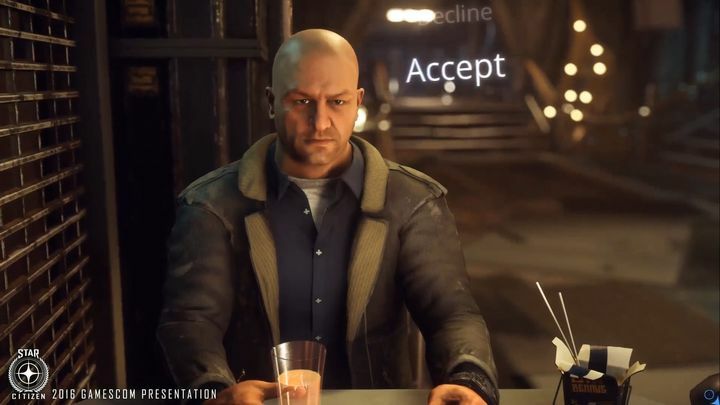 The single player portion of the game was originally slated for release in late 2016, but has been pushed back, with Roberts and his team at Cloud Imperium Games yet to reveal a new release date. Despite this, the community has kept on pledging funds to the project, and the crowdfunding campaign has now raised almost $150 million, making this the biggest project of this kind ever. So hopefully Star Citizen will end up being a great game, with Roberts and his team delivering the kind of experience fans are waiting for when the full game sees the light of day sometime in the future.